DAVID LE/Staff photo. 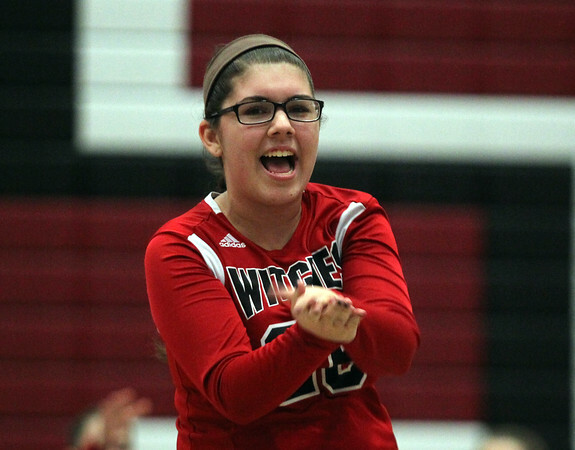 Salem High School setter Thalia Urena celebrates a Witches point against Malden. 9/30/15.